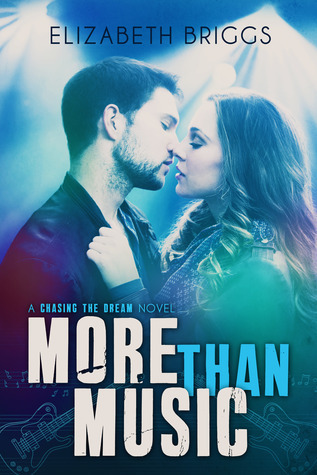 Music major Maddie Taylor just finished her junior year of college and has a summer internship lined up with the LA Philharmonic, yet every night she practices guitar and secretly dreams of a louder life. But geeky girls like her don’t get to be rock stars. That is, until tattooed singer Jared Cross catches her playing guitar and invites her to join his band on The Sound, a reality TV show competition. Once on the show, Maddie discovers there’s more to Jared than his flirty smile and bad boy reputation – and that he’s just as big a geek as she is. With each performance their attraction becomes impossible to ignore, but when the show pressures them to stay single they’re forced to keep their relationship secret. I am not a writer; I have no idea how does that feel like or how hard it might be. But I am a reader and as a reader I do have expectations. When I read a book I want to ‘live’ in it for a while, I want to ‘be’ the main character through it all, to ‘have’ that life and make the best out of it. And every now and then I read a book with so, but sooo much potential that I wish (from the bottom of my heart) I had enjoyed it a lot more, because I know that it would have been possible. This being said, what you will find next might not be your average review (it might not feel like an actual review at all, just random bits of what ifs). It’s just that while reading this story I couldn’t help but think of all the ways it could would have been better (for me at least) and I just feel the need to share those thoughts with you. Don’t get me wrong.. it was nice, it was entertaining, but it could have been really good. There was one main thing (and I say one only, because the others were related to this alone) that took those 2 stars away and left me with this ‘meh’ kind of feeling that sits hard on my heart… And that was the overrated romance with a pinch of cliché. No, there’s no irony here – though this is indeed a romantic story and the romance in it was the thing that made me roll my eyes and want to drop reading this book quite a few times for its own good. Because the love story started kind of before the book even did, and so it overshadowed everything with childish thoughts and longings that the readers can’t possibly fully connect with (or maybe that’s just me). I wanted so much to believe in those feelings, to feel that passion, but I couldn’t entirely. I didn’t ‘see’ the personality of the two main characters throughout all this crushing and lusting – I just wasn’t there when those feelings happened, I don’t know how it all started – how our girl became attracted to this guy, what did she see in him except for good looks and tons of girls surrounding him (which might not be quite the quality after all, not to mention that it also it left me wondering if that’s all there is to Maddie – is she only some sort of ‘sheep’ going with the flow, simply liking the ‘thing’ that everyone else does without a good reason?). And it’s a shame, because I think that both oh them, both Jared and Maggie, deserved to be known better by us, the readers, as individuals and not only as love interests. The truth is that the overall plot was OK – more than OK even (the contest, the need for a new member, the chance for Maddie to stand out and do what she likes the best, the ups and downs of the fame), only the details felt a bit ‘smudged’ over the edges (there was so much obsessing and jealousy that I barely saw the beauty of the storyline itself. It made the characters seem flat because there was too much telling and too little actual showing). Not to beat around the bush any longer, I simply wish that the romance had been toned down a little bit… Ok, maybe more than a bit. And the next section might come in as a spoiler in a backwards-sounding kind of way, though it only shows a few glimpses into what happened (most from the first half), nothing major or explicit if you don’t click the spoiler tags. I just need to let out these bits of ramblings, because I have this terrible feeling that this is exactly what stood between those shiny 5 stars and me.. In my vision, I would have liked Jared and Maddie to start as simple acquaintances in the beginning (not that they actually were more, but she did want it.. repeatedly). Say that she had seen him before (that remains), known him from his brother, she might have noticed him around with all the girls around him like in the book – but without the obsessive thinking, just some statements to introduce Jared to us . We readers are not stupid, we can still know to look for him in the future, we don’t need to be smashed in the face with some things to see them, just some subtle hints are enough). Then comes the part when he watches her play (studio, his guitar, all that from the story, I am not into changing the plot, just the vibes it gives) and, needing a new member, he asks her to join the band – I would start a nice sort of friendship at this point. (view spoiler) And yes, people could still think during the beginning of the contest that they are ‘a thing’, and additionally they could also flirt innocently and there could be a cute banter between them to make us wonder, but at this point that would be quite enough. We get to Maddie’s need for help with the stage appearance, which was understandable – he would still give her a hand with that, things would slowly change, a touch here, a touch there, butterflies out of nowhere and the doubts creeping in. Boom! And only then, half through the story, the romance would start slowly, based on friendship and caring and all that. And that’s it, I wouldn’t have wished for more, this would have been a love story on my linking. I repeat, the plot itself was OK, I just wished for the focus NOT to be (from the very start / so much) on the obsessive, childish romance, but on a more mature one. Readers would get to see another side of Jared, they would fall for him without feeling pushed into it, and everyone would be happy – Maddie included, as she wouldn’t suffer this much angst. Well, this could have been a 5 stars light love story, with a good music concept (the music show with the fall, the blindfolded performance, the turnarounds, all great moments) and a nice pack of characters (the friends, the band members, though they seemed to be fading into the background). I didn’t mind much the shadow of a love triangle, as I knew very well who the girl wanted and I liked that she was smart enough to keep her priorities straight and not give in to the first guy that smiled at her. But the problem that remains is just how young Maddie seemed to be (and the last time I checked this wasn’t a middle school story, so the characters should act their age). It was frustrating at times to be in her head, to hear her complain about her feelings, to lust so much (and be so jealous) over a guy she didn’t even know that well. Yes, they talked a bit and joked around, but that was not enough for me to connect with their feelings or become sympathetic to their situation. Anyways, do I recommend this book? – People that usually enjoy NA stories might actually like this one – I’ve read quite a few and most of them tend to have the same problems – underdeveloped characters and romances, so they should be fine, as the quality of this one is frankly even superior to many of those. 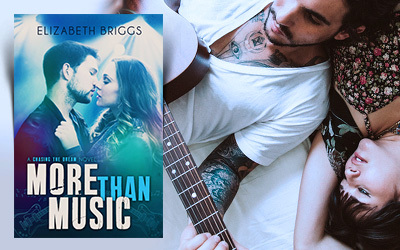 – People that like to read about music and bands and light, romantic stories might enjoy it too. I have a thing for connecting books with music or any other kinds of art – I don’t know why, I just feel attracted to them and I would also recommend Amplified, with a similar concept – or well, sort of. Really good that one, keep it in mind. Book Source: An advanced copy has been provided for review. thank you! You always find the best pictures! Sorry it didn’t work for you that great. Thank you 😉 As for the book, it was still fun, it’s just that compared to others…. you know the feeling.